HOW TO RAISE A WILD CHILD comes out tomorrow–Tuesday, March 24th 2015 from Houghton Mifflin Harcourt, and I cannot think of a better March book than this one! “Dr. Scott the palentologist” (Scott Sampson) from PBS KIDS’s DINOSAUR TRAIN takes us on an unforgettable journey through the woods, stomping through marshy areas of ponds, and sitting alongside the flotsam and jetsam of the California coast. Sure, he loves nature and so does his daughter, Jade but what better person than a nature-lover to show us parents (and educators), how to roll up the sleeves and immerse oneself into the nature around our little corner of the world. And that may be the challenge. In today’s world, we’re so connected we’re disconnected. Follow me? Because of all of our screen-time, we *think* we are staying connected to our jobs, our friends, our family, the things we care about, but in reality, we are alienating ourselves from nature. One particular “sticking point” from HOW TO RAISE A WILD CHILD was this: Think about a special childhood place…smell it, feel it, hear the sounds, are you alone–or with someone? Got your place…okay, now were you inside or outside? Most baby-boomers will indicate an outdoor location. Those born in the late 1960s and 1970s, might as well. Maybe they have both, an indoor and and outdoor location of childhood specialness. If that’s the case–great. Dr. Scott goes on to say that children born after this time period *may* not associate their happy childhood place as an outdoor location. The result: they may look back on their childhood years as being happy in front of screen. HOW TO RAISE A WILD CHILD delves into ways to bring technology and nature together. Love photography? Gotta a kiddo who does? Why not take nature-inspired photos and make a slide show? Greeting cards? Magnets? Give them as gifts. Other ideas: grow a garden, join a co-op, develop a nature club, etc. There are *countless* suggestions in this book to inspire, educate, and promote being one with nature. 1. Make New Habits. Take a bit of time to discover the varieties of wild or semiwild nature resources close to home. The local park, playground, schoolyard, or your own backyard are wonderful starting places. 2. Free Play Rules! Carve out regular time for your kids to engage in unstructured play, with a portion of it outdoors. “Unstructured” simply means without adult guidance or supervision by allowing kids to use their own imgination using naturally available elements–water, sticks, dirt, and rocks. 3. Start Sit Spoting. Find a spot near home that you can use daily. Sit. Watch. Listen. How does the area change at different times of the day? Different seasons? 4. Become a Hummingbird Parent. We’re familiar with ‘helicopter parenting,’ but what about giving your kids the space and autonomy to take risks while you stay on the periphery sipping nectar and zooming in only when necessary? 5. Questioning. Ask your kids what happened after they have spent some time in nature–what did they see, hear, feel? Can they give you a story of the day? 6. Nature Connection is a Contact Sport. It’s messy, it’s dirty business picking up rocks, overturning stones, picking flowers, and climbing trees. And guess what? That’s okay! 7. Snap Some Nature Photos. Leverage the nature connection by encouraging kids to take photos of 5 (or whatever number) of natural things that interest them. 8. Discover Your Own Nature Passion. Maybe you’re more of an “indoor person,” if that’s the case, then consider stretching yourself for the sake of the little people in your life. Maybe it’s gardening or flower arranging, nature photography, hiking, fly-fishing, or skiing. Have fun and be a role model! Dr. Scott also brings much educational research to the table, indicating that time in nature actually bolsters performance in the classroom, and why. The educator in mean loves that, the mom in me appreciates it, and the writer in me has made me want to get out of my comfort zone (behind the laptop) and get out in nature. Listen to the podcast/read the story on NPR. I think it will you, too. Coach Dru Joyce, II (LeBron James’s coach) has made mistakes. He’s the first to admit it, too. 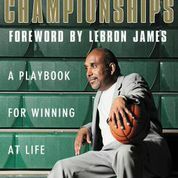 What reads as part memoir, part faith-based, and part coaching manual, Joyce takes us on an unforgettable journey of a hardscrabble life in East Liverpool, OH through his tumultuous college years, entering the ranks of corporate America (he worked at ConAgra Foods), and then giving it all up to be the head coach basketball at St. Vincent-St. Mary where he lead the team to national championship. 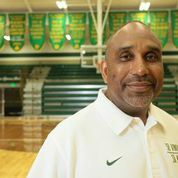 Check out this dynamite video on Coach Dru talking about what it means to be a great player. That said, there are a good deal of personal stories about beating the odds, illustrating the point how it is possible to be a success without sacrificing one’s faith and family. Live with a Heart of a Servant. The concept of service is central to Coach Dru’s philosophy and as a man. Decisions Create Environment. This may well have been my favorite section of the book; too many believe they are destined to be the product of their environment, rather than the producer of that environment. Every decision counts. Bootstraps Can Break. In American culture, we need to recognize that the self-made man [woman] is elusive; each one of us is a result ofcombinations of people in our lives. Ah, another favorite message from the book! It’s Discipline, not Desire that Determines your Destiny. So you want to do great things…we all do. Are you willing to put in the time and effort to get there? Everything that Comes Up, Doesn’t Have to Come Out. It’s all about the power of words, being mindful and thoughtful. Make Lemonade. We all get demoralized in life, but how can we turn those failures into successes? Take Charge of Your Own Mind. What good will worry do you? Focus on what you can control, and nothing else. And now for the give-a-way! Send me a message (email leslie_lindsay@hotmail.com, leave a comment on the blog, or drop me a line/comment on FB) and I’ll enter you in the drawing. Open to US residents only. You will be contacted via email, so be sure to check your ‘junk folder.’ Contest runs March 16-31st. Winner announced April 1st, 2015. GOOD LUCK!! Before there were national parks, Yosemite Valley expanded into vast wilderness, home to giant sequoias and giant redwoods. Tumbleweeds swirled across the horizon, majestic moutains soared above. But there was no one–or nothing–to protect the natural beauty. In 1903, this was a problem. There were no National Parks. Naturalist John Muir was beside himself. 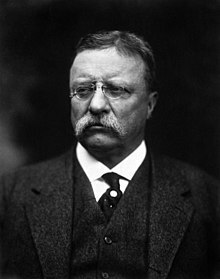 He contacted the president of the United States, then Theodore Roosevelt to join him on a camping expedition. The original inviation letter arrived at the White House March 14, 1903–almost exactly 112 years ago! Together they journeyed through the west, charting new courses of discovery, and embarking on sights–and discussions–that would stay with them forever–and forever change the landscape of our nation. 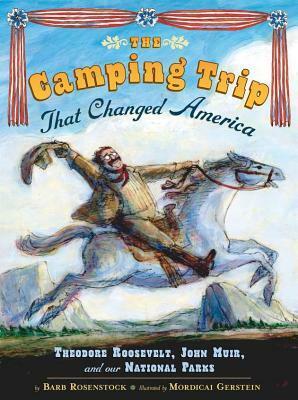 Told in companion with artful renderings of the little-known adventure between John Muir and Theodore Roosevelt, THE CAMPING TRIP THAT CHANGED AMERICA will shape the lives of young and old alike, reminding us that our natural landscape is indeed a jewel to discover and protect. 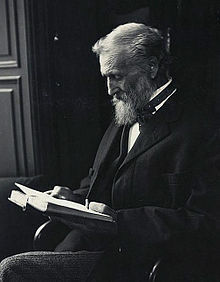 John Muir on Wikipedia . Above image of Muir retrieved from Wikipedia on 3.4.15. 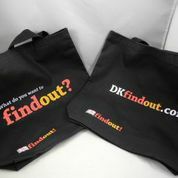 UPDATE: Congratulations to WENDY M., winner of the DK Tote Bag!!! this concludes the contest 3.15.15. Thanks all for your interest in DK books and their new website, DKFindOut! The other day, my 9 year old and I were browsing at the library when she stumbled across a shelf stacked with over-sized copies of DK Encyclopedia’s for children, “Oh I love these, mom!” She loaded up her arms with book after book, topic after topic (mummies, Greek gods, ghosts, shipwrecks, you name it). She had more books in her arms than she could read in the three week loan period. Still, she was empassioned and the ‘color’ looked good on her. Last month, publishers DK (forerunner of inventive illustrated print publishing for over 40 years) launched an innovative online resource called DKfindout! -a global education website for children, parents and teachers. 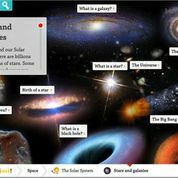 Supporting the most current curriculum the site is primarily aimed at children aged 7-11, but honesty, I think even younger kiddos will enjoy this site as well. My 8 year old is crazy about pets and soccer and so we hopped on the site and she was able to navigate right to domestic dogs and learn their various ways of communicating, even listening to a sample of a dog barking. As for soccer…it was mentioned in terms of high-level energy sport (food & nutrition, aerobic exercise) and also in a pre-physics lesson on force. Oh but you’re here for the tote bag give-a-way? Not to worry…here’s the deal: jump on the website and tell me one thing you loved about it. That’s it. You can leave a comment directly on this blog or shoot me an email to leslie_lindsay@hotmail.com with the subject line, “DK.” I’ll enter you into the contest. As the DKfindout! website has been developed it has been continually tested by children, teachers and parents around the world. Children most importantly, have been exhilarated and highly engaged by the volume of content aimed directly at them, and parents felt assured that their children were in safe hands when using the site.